You’re well-versed on Milwaukee Summerfest, Lollapalooza, and Taste of Chicago. Heck, you’ve probably attended every small town Fourth of July celebration within an hour radius of your home. This summer, it’s time to skip the local fruit-themed festival and branch out a little further. 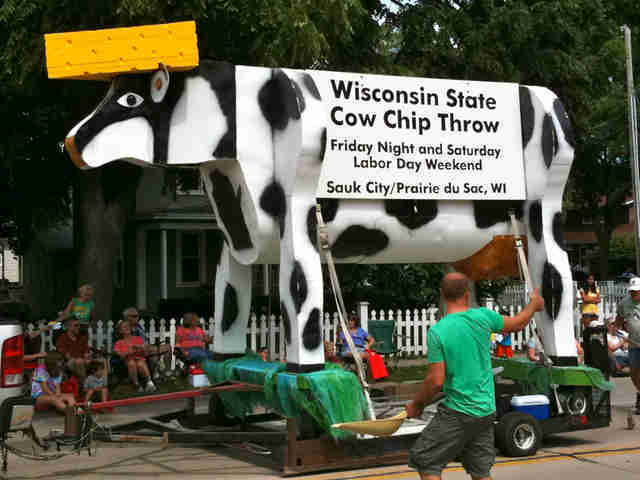 Hit the road and check out these Midwestern festivals that run the gamut from fun and fascinating to downright bizarre (looking at you, Testicle Fest). 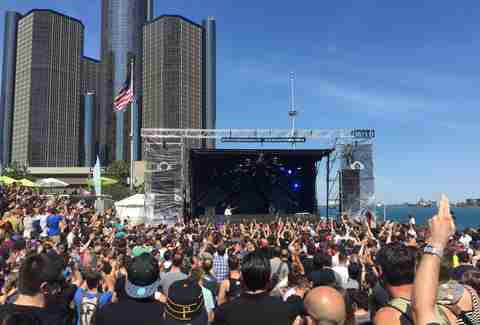 Hustle hard at Movement Electronic Music Festival If you’re going to attend any electronic music festival this summer, you may as well do so in the birthplace of techno: Detroit. Movement Electronic Music Festival (formerly DEMF) has a diverse lineup featuring Detroit talent alongside some of the most talented DJs from around the world. Add some insane after parties and an urban backdrop, and you have a music festival that’s pure Detroit. Hustle hard at Movement Electronic Music Festival Mackinac Island, Michigan If you’re going to attend any electronic music festival this summer, you may as well do so in the birthplace of techno: Detroit. Movement Electronic Music Festival (formerly DEMF) has a diverse lineup featuring Detroit talent alongside some of the most talented DJs from around the world. Add some insane after parties and an urban backdrop, and you have a music festival that’s pure Detroit. Stop and smell the flowers (and gourmet food) at Lilac Festival If you thought Mackinac Island couldn't get any more quaint and picturesque, then we suggest you plan a visit during Lilac Festival. Don’t let the name fool you -- there are plenty of other events to choose from during the 10-day festival, including wine tastings, A Taste of Mackinac food festival, and equestrian activities. Stop and smell the flowers (and gourmet food) at Lilac Festival Olean, Missouri If you thought Mackinac Island couldn't get any more quaint and picturesque, then we suggest you plan a visit during Lilac Festival. Don’t let the name fool you -- there are plenty of other events to choose from during the 10-day festival, including wine tastings, A Taste of Mackinac food festival, and equestrian activities. Have a ball (or two) at Testicle Festival One day a year, the town of Olean (population: 128) turns into a veritable nut house, drawing thousands of visitors -- all of whom are hoping to get a taste of turkey testes. In fact, the “turkey fries” are so popular, organizers say they typically run through all 1,200lbs by the afternoon. In other words, plan on arriving early if you want to grab a handful of deez nuts. 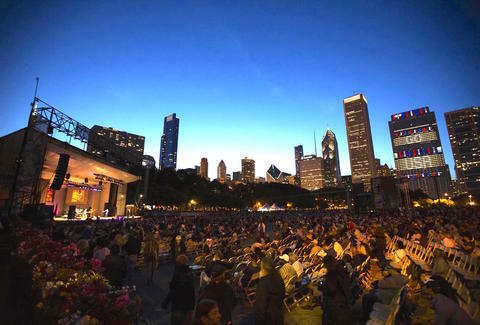 Enjoy blues with a view at Chicago Blues Festival “Sweet Home Chicago” isn’t just the launching pad for some of the world’s most legendary Blues artists -- it’s also home to the world’s largest free blues festival. 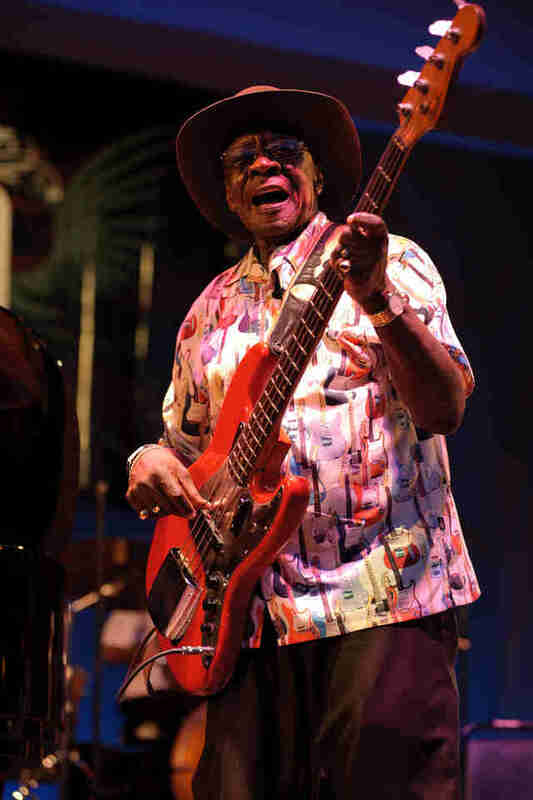 This year’s festival features four separate stages and includes a special tribute to legendary artist Otis Rush. 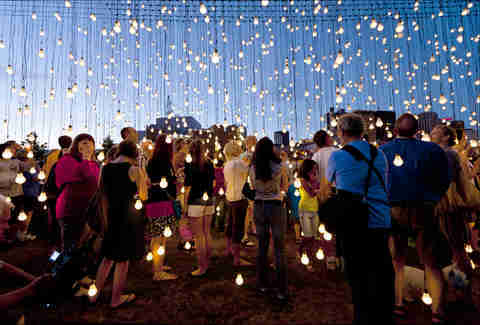 Get artsy ‘til the break of dawn at Northern Spark This all-night art festival kicks off at the Minneapolis Convention Center at dusk. 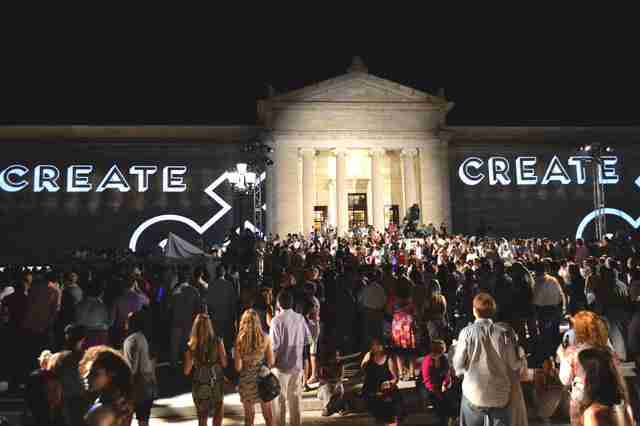 Attendees can then move on to explore and experience a variety of participatory art projects, attend talks and participate in workshops until the sun rises -- or ‘til you drop -- whichever comes first. Party like it’s 1876 at Wild Bill Days This festival celebrate the life and times of Deadwood’s most infamous resident, Wild Bill Hickok. We already know that Deadwood throws a good party, and this festival is no exception. In addition to free concerts on the Main St, attendees can learn how to pan for gold, attend a city-wide rummage sale, watch entertaining historical reenactments, and more. Say “Uff-Da!” at the Scandinavian Hjemkomst and Midwest Viking Festivals If your knowledge of Scandinavian culture doesn’t extend further than the Grönkulla bedding you picked up at Ikea last week, then it's high time you head to Minne-sooo-duh for this celebration of Nordic culture. This particular festival is actually two-in-one: a viking festival -- which is exactly what it sounds like -- and Hjemkomst Festival, a celebration of Icelandic, Norwegian, Swedish, Finnish, and Danish Cultures. Whatever you do, just say no to lutefisk. Trust us on this. Attend Des Moines Arts Festival: one of the country’s most diverse art festivals This award-winning art festival has taken place annually since 1958, and has grown into one of the largest art festivals in the midwest. While this diverse art festival features a wide variety of visual artists (180 to be exact), it also features some of the country’s best musicians, performance artists and interactive art in addition to the Interrobang Film Festival. Celebrate the start of summer at Solstice 2016 Have you ever wished you could explore an art museum when no one’s around? Solstice allows you to do just that! The event also features DJs, world music, and creative performances both in the museum’s atrium as well as outdoors on the terrace. Needless to say, this event -- which is every bit as cool as it sounds -- has become one of the hottest tickets in Cleveland. Celebrate love at Chicago's Pride Parade Thanks to turnouts of an estimated 1 million people, Chicago's Gay Pride Parade has become the second largest in the nation. While the parade route spans four miles, it’s recommended you show up early to snag your spot -- particularly if you’re hoping to view the parade in Boystown. 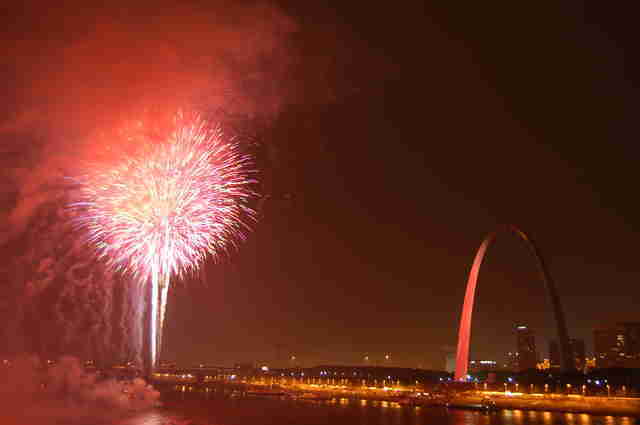 Celebrate Independence Day at Fair St. Louis Dubbed “America’s Largest Birthday Party,” Fair St. Louis attracts roughly 250k visitors each year. In addition to food and fireworks, the festival features entirely free concerts. This year’s musical acts include Flo Rida, Eddie Money, Sammy Hagar, and George Clinton, to name a few. Stuff your face at Pierogi Fest As the saying goes, there’s more than corn in Indiana -- there’s also boiled meat pierogi, and fried potato pierogi, and kielbasa and... OK, you get the picture. In between platefuls of pierogi, entertain yourself by trying to track down Mr. Pierogi and his friends Ms. Paczki, Halupki Guy, and the Pieroguettes. Afterwards, burn some calories by dancing your dupa off to The Village People, who are this year’s musical guests. Party like it's 1599 at Bristol Renaissance Faire Like any renaissance faire (yes, with an “e”), Bristol is an entertaining mix of historically inaccurate costumes (were there really bellydancers in 16th-century England? ), people yelling “HUZZAH!” for no apparent reason, and men who use words like “bosom.” While the festival runs from July 9th through September 5th, we suggest attending “Fantasy Weekend” (7/30-7/31). We’re not actually sure what this encompasses, but the fact that it's the only theme that doesn’t have a description on their website makes us think that it’ll be a really, really interesting weekend for you to go. Go on -- live dangerously. Bring your best mullet to the Iowa State Fair Where can you gain access to mullet contest, diaper derby, hog calling contest, and beard growing contest all under one ticket? Why, the Iowa State Fair, of course! 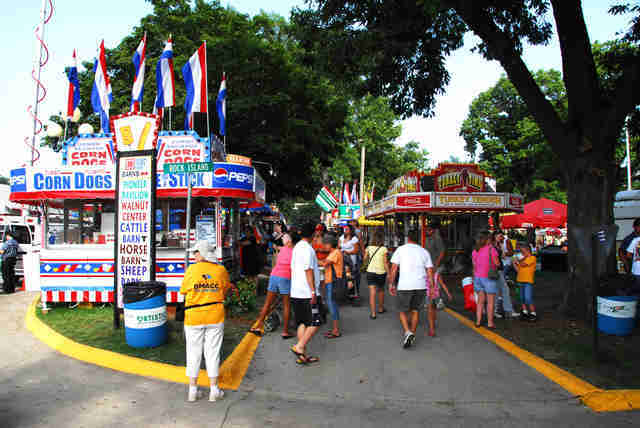 In addition to a, uh, diverse set of contests, the fair also features plenty of delicious fried food and music acts ranging from KISS to Meghan Trainor. Get tipsy on Midwestern vino at Nebraska Wine & Balloon Festival Betcha didn’t know that Nebraska has a wide array of wineries, did you? 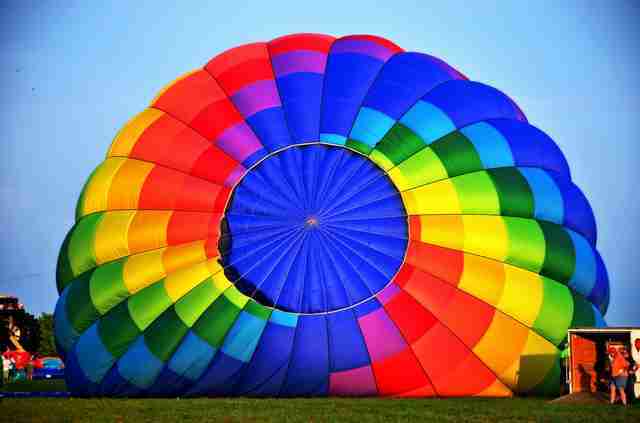 The 10th annual Wine and Balloon Festival gives attendees the chance to try some Nebraskan wine for themselves -- all under a hot air balloon-filled sky. Explore Native American culture at The United Tribes International Powwow As the name implies, The United Tribes International Powwow brings together over 70 tribes for a one-of-a-kind celebration of Native American culture that draws over 20k attendees from around the world each year. If you plan on visiting, remember to leave your alcohol and cigarettes at home -- they’re banned as a show of respect.